There are currently 13 food stalls in the Z Compound which explains the abundance of customers that come in everyday. One of them is Me Love You Long Time and it is a creation of film industry professionals Syrel, Cons, James and Tey. Will I be loving their food for a long time? Let's find out. I can't recommend their Thai Iced Tea (P49) enough. With a drink as good as that, I saw the other customers cross ordering it even if they were eating at another food stall. I can't blame them. The Vietnamese Iced Coffee (P79) is not far behind in terms of quality too. Owner Syrel Lopez told us a story of that one time when they had a shoot somewhere in the province and they were with Me Love You Long Time's current chef Jeff. Jeff was able to use the few ingredients they had and turn it into something delicious. That is how good this guy is. Right now, he is whipping up a lot of specialties at We Love You Long Time. The Fresh Spring Rolls (P89) had peanut sauce and sweet chili sauce. It is a healthy dish with all those vegetables inside the wrapper and I highly recommend it. I really think they should put more of the peanut sauce though as I am sure all the customers ordering this classic would want more of that. Like the spring rolls, the Chicken Satay (P129) also comes with peanut sauce and spicy sauce. The chicken meat is so tender and tasty that you would think the 6 sticks is not enough. Pho (P129) is Me Love You Long Time's version of the classic Vietnamese soup. It is actually better than the ones I have tasted in Vietnamese restaurants and the fact that it is much more affordable. The Streetfood Platter (P149) really goes well with beer as the Z Compound is a great place to have drinks with friends. This platter has an assortment of street favorites namely tofu, squid balls, chicken skin and ngohiong. Who doesn't like Pad Thai (P129)? This favorite is exactly what the doctor ordered. My eyes lit up when I got to try this one. It is one of those dishes that I would order right away when I go back here. Wow, I was pretty amazed at this wall clock. I wanted one myself as it is very unique. It is like time is moving backwards. It is too bad I got a low tolerance on spicy food so I was not able to withstand the Nam Tok Moo (P129) or spicy pork salad with rice. I did love the crunchiness of the pork meat here. The last main course served was the Thai Chicken Curry + Rice (P129) and it pretty much ruled. I loved their curry sauce and it won't be a matter of time before I raise my hand and order an extra rice. The vegetables that were in the dish added extra flavor as well. The Homemade Basil Ice Cream (P79) is an exclusive to Me Love You Long Time. I must say I love the unique taste of this new ice cream flavor. 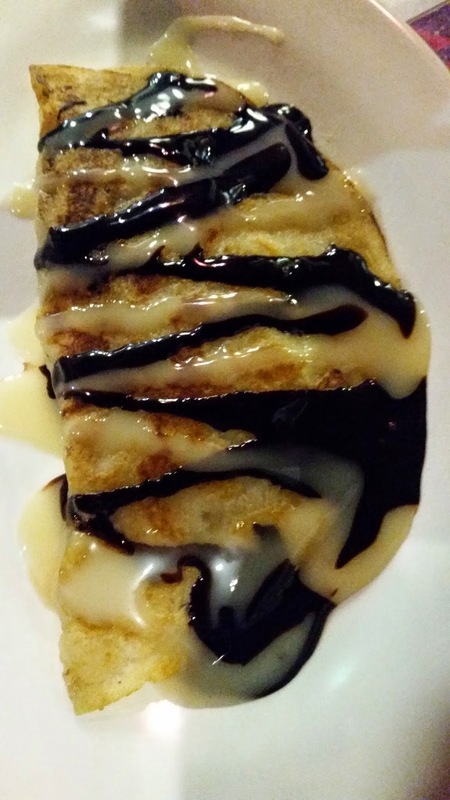 The Banana Roll (P69) is like Banana Crepe without ice cream. When I eat it, I feel like something is missing though so it is a good thing I can combine the Basil Ice Cream with the Banana Roll. That is such an irresistible combination and I am sure a lot of people have already tried that. If you haven't then I suggest you do because it is pretty addictive. I loved all the dishes that were served to us at Me Love You Long Time. I am not surprised at the fact that they are always full. There is no doubt I am coming back here over and over again because I am loving their food long time. I would like to try their version of the pad thai. 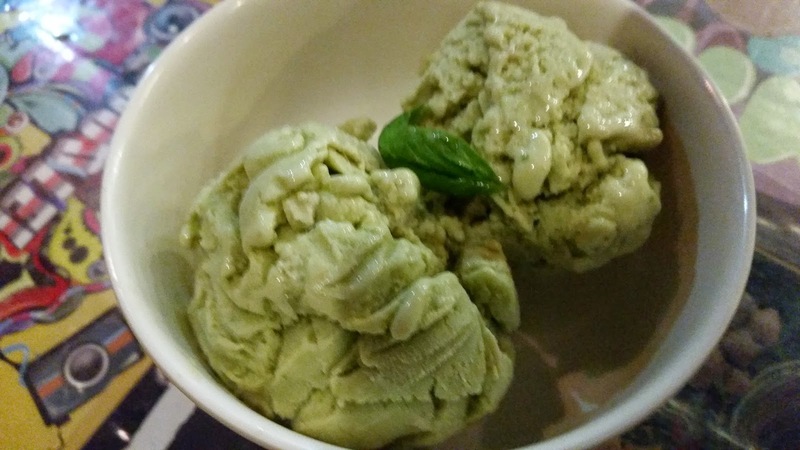 The Homemade Basil Ice Cream looks really good. Was it made with real fresh basil leaves?